New York, June 5: The World Jewish Restitution Organization (WJRO) today announced the launch of a new fund totaling $1.3 million — the Romanian Survivor Relief Program (RSRP). This program is funded from the restitution of communal properties wrongfully taken from Jewish communities of Romania during and after World War II. The funds have been made available by the Caritatea Foundation, which is a partnership of the WJRO and the Federation of Jewish Communities in Romania (FEDROM). The Conference on Jewish Material Claims against Germany (Claims Conference), a WJRO member-organization, is implementing the program on behalf of the Caritatea Foundation. Applications are being mailed to 4,000 potentially eligible needy Holocaust survivors of Romanian origin — living outside of Romania and Israel — spread throughout 37 countries. Additionally, applications will be available through a network of social service agencies worldwide. The funds will be shared equally amongst all approved applicants who meet the income eligibility criteria. It is anticipated that additional funds will become available for this program. “The allocation of these funds to needy former Romanian Holocaust survivors from the restitution of properties once wrongfully taken from Jewish communities of Romania is an important symbolic step. 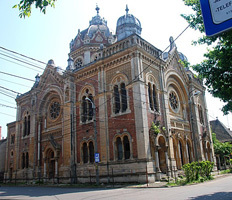 The WJRO, together with the Jewish community in Romania, will continue to negotiate with the Romanian government to ensure that remaining Jewish communal properties are returned and can be used to help more Holocaust victims,” said Gideon Taylor, WJRO chair of operations. Completed applications to the Romanian Survivor Relief Program must be received by the Claims Conference in New York by November 30, 2018. 1) Be a Jewish victim of Nazi persecution. 2) Have resided in one of these areas sometime between 1937 and 1944: within the modern borders of Romania (including Northern Transylvania); in Northern Bukovina or Bessarabia; in Southern Dobruja; or in Transnistria. 3) Have an income below a specified limit. 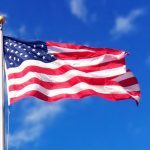 Heirs are not eligible to apply. Payments funded by Caritatea totaling $2.9 million were made to Holocaust survivors of Romanian origin in Israel in March 2018 and social welfare programs for Holocaust survivors in Romania are also being supported by funds generated from the restitution of former Jewish communal property in Romania. 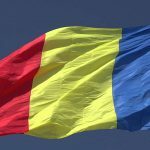 This new international Romanian Survivor Relief Program will provide funds for survivors outside of Romania and Israel.